This book features fifteen Advent window displays from florist shops in DENMARK, SWITZERLAND and GERMANY. The different design approaches, flower arrangements and techniques are captured in 400 pictures. Informative texts provide background information on the shops, the various designs and the approaches used. 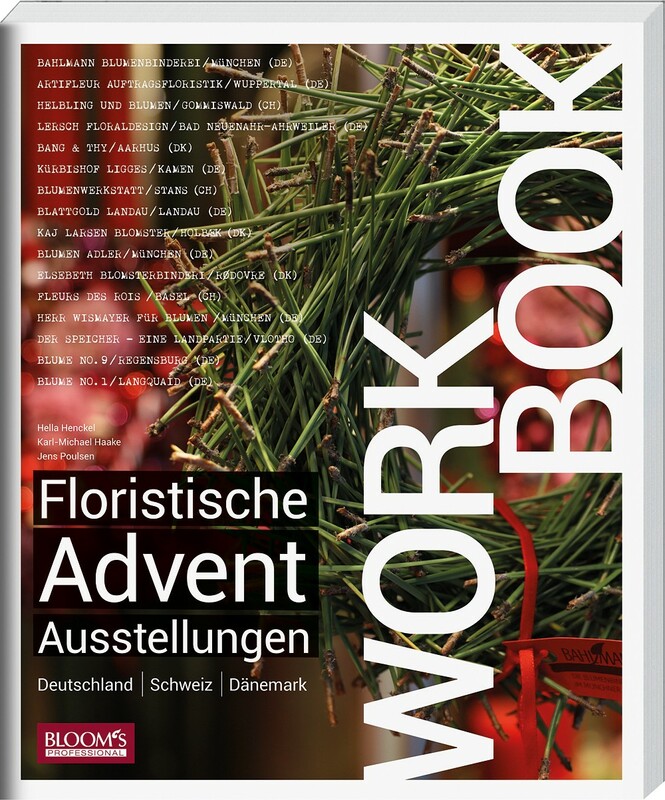 Practical tips and information on a wide range of different ways to display prices, eye-catching features that encourage customers to buy and quick and creative displays for additional products complete the book "Workbook - Floral Advent Window Displays“. An invaluable manual, source of inspiration and guide with must-have character for everyone in the "green industry" when it comes to planning the next Advent window display.